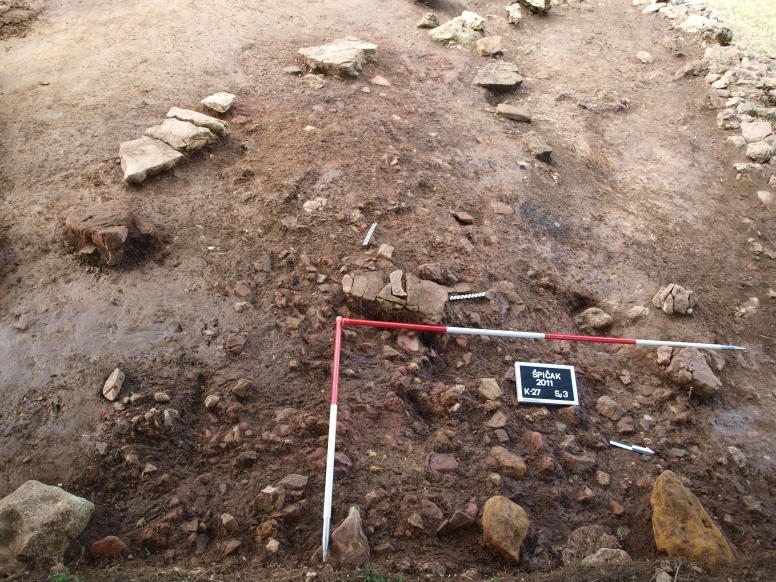 The habitation site of Špičak was discovered in 1987 during the sondage excavations carried out in the Zagorje region by the Institute of Archaeology. 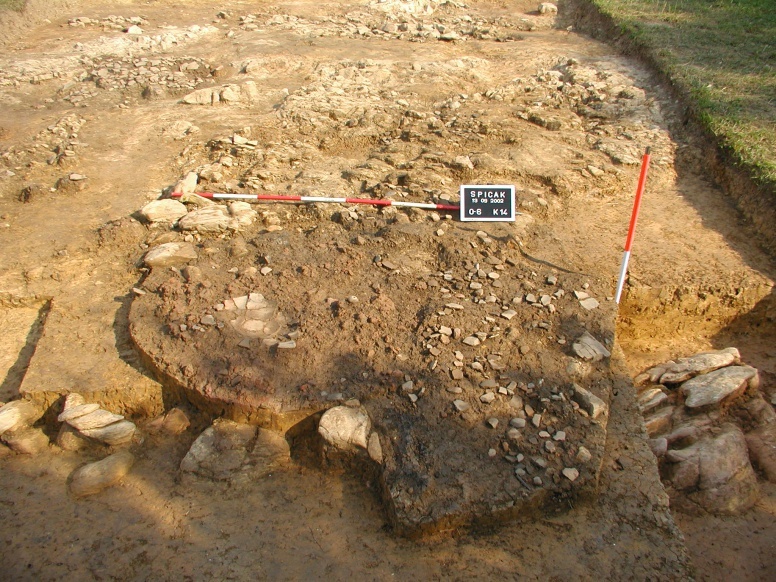 Systematic excavations have been carried out since 1994 as part of the scientific project “Archaeological investigations at the Špičak prehistoric site”, managed by Dr Ivančica Pavišić. The archaeological site of Špičak is situated on a sheltered position of the high Mount Košnička gora, a natural mountain barrier protecting the canyon along the valley of the Sutla river in Harina Žlaka and Sutlanska Poljana. With its prominent strategic position on the bend of a high cliff, the Špičak hillfort played the role of an important strategic point controlling the neighbouring highland spurs of Mount Olimska gora and Mount Rudnica near Podčetrtek. At the foot of the Špičak hillfort, in Harina Žlaka, sources of healing water sprang from the rock – the so-called Atomske Toplice, now known as Terme Olimje in Podčetrtek. The Late Bronze Age habitation site of Špičak occupied the north-western and eastern slopes of Koštrun Hill (493 m) with positions at Gradina I and Gradina II-Špičak. Gradina I-Špičak is a dome-shaped plateau, fortified on the lower terrace with an earthen and dry-stone rampart extending in a semicircle around the hillfort. On the spacious plateau of the highest terrace of Gradina II-Špičak, shaped as an amphitheatre with a series of almost levelled terraces, above-ground houses were built (a total of five were discovered so far). The houses were grouped along the edges of the south-western plateau of the acropolis of the hillfort during the Late Bronze Age, that is the Urnfield culture, as well as subsequently through the Early Iron Age. Depending on the features of the relief, the above-ground structures/houses adapt to the level of the terrain by using the stone foundation of the bedrock or the slope of the hill. The superstructure consists of wooden posts inserted in the holes excavated at the corners of the house, reinforced with rubble or dressed stone blocks. The interior of each of those dwelling structures was very simple. The house floors consisted of pressed clay of a yellow-green to dark brown colour, laid over the bedrock. In addition to an obligatory fireplace or hearth, the stone foundations of the bedrock were used for sitting or lying. The area around the hearths usually yielded the densest clusters of movable finds, from abundant potsherds, pyramidal weights and heaters, to numerous finds of animal bones. The interior dwelling space contained also finds of portable stoves and, more rarely, bone awls, grindstones, polishers, heaters, blades of bronze knives or pieces of bronze jewellery that belonged to metallurgical work spaces. Weaving also took place inside the dwelling space, as corroborated by fragments of spindle-whorls of various shapes and sizes, and pyramidal weights. In the lack of any information regarding the type of roofs covering such above-ground structures, we suppose that they were probably gabled, made of timber beams and wattle, and covered with thatch. The incipient Late Bronze Age phase of habitation at Špičak is characterized by the predominant presence of locally made pottery, consisting mostly of ordinary conical pots with a flat rim and bosses on the shoulder, as well as bellied pots with an everted rim with fingertip or pinched impressions on the rim, biconical bowls with an everted rim, and semi-globular cups. Based on the presence of a violin-bow bronze fibula, we date the initial period of habitation at Špičak to the older phase II of the Urnfield culture, the Zagreb group of the Ha A1 phase (1200-1100 BC). The intensity of habitation continued in the younger phase of the Urnfield culture, as corroborated by abundant finds (houses A, B, C and D). The ceramography of the final phase V, the younger Urnfield culture, in addition to incision and hatching, uses also fluting and stamping, which appears on the necks of two-handled amphorae, known also from the necropolis at Ruše. In addition to incised ornaments, pseudo-cord motifs are found on semi-globular bowls, like on the similar bowls from the settlement Kalnik-Igrišče II. The finds exhibit typological features of and affiliation with the Velika Gorica II group, with analogies in the ceramography of Ruše, Ha B2-B3 phases (1050-800 BC) in the Central European chronology. 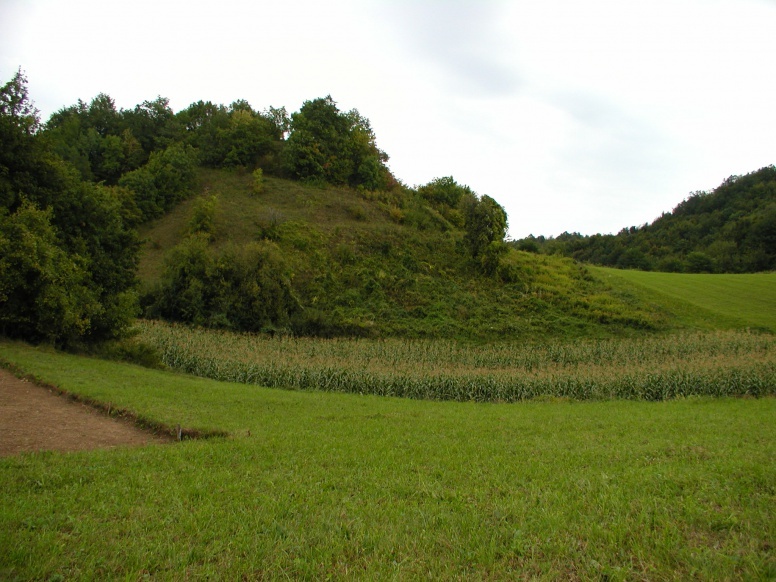 In terms of culture, the Špičak hillfort is affiliated with elevated hillfort settlements of the Late Bronze Age and the Iron Age, like similar hillforts in the wider area of Hrvatsko Zagorje: Miljana – Brezova ravan, Lobor – the sanctuary of Our Lady of the Mountain, Krapina – Stari grad, Sv. Magdalena above Krapinske Toplice, Gradec in Zagreb – Convent of the Poor Clares, Igrišče II at Kalnik. Further cultural similarities exist with the neighbouring habitation sites in the Slovenian part of the Podravina region between Ormož and Ptuj, Brinjeva Gora to Ruše (Maria Rast near Maribor), Poštela and Gornja Radgona in the Pomurje region.